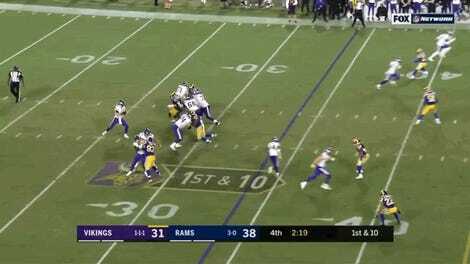 Trying to stop Rams defensive lineman Aaron Donald with one blocker has the same effect as trying to stop a bowling ball with a piece of tissue paper. Using two offensive linemen doesn’t seem to be doing the trick, either. 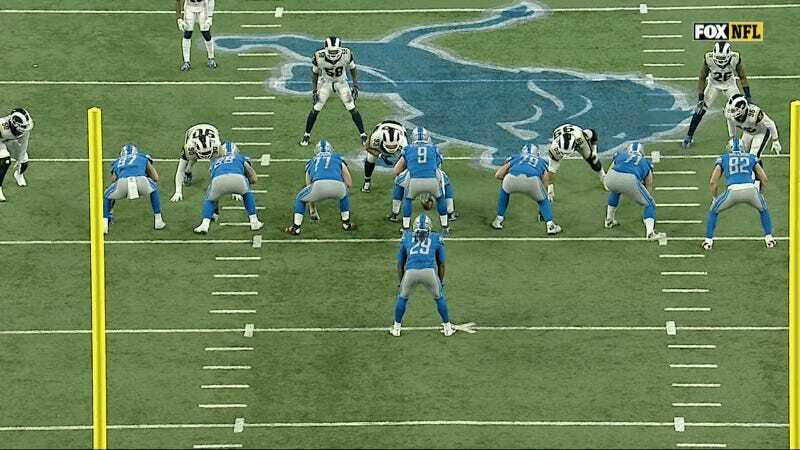 At a crucial moment in the fourth quarter of Sunday’s Rams-Lions game, Donald took on Detroit guard Kenny Wiggins and center Graham Glasgow. He still was able to tear through both of them, fling himself at Matt Stafford, and force a fumble. This isn’t fair! 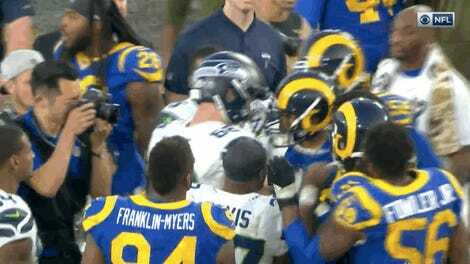 Donald had a total of five tackles, all of them for losses, and two sacks in the Rams’ 30-16 win. On another play, he shirked the Lions’ Frank Ragnow and tossed 250-pound running back LeGarrette Blount like he was a garbage bag. Maybe the solution is three blockers.